I was very sad this morning to see Hotel Taitu burnt down after the damaging fire which partly destroyed it on Sunday. I am not the only one; many people in Addis, young and old, are mourning the loss of a great cultural institution in this city. Taitu, the oldest hotel in Addis, was a landmark in the old Piassa district, an area which until now has been preserved from the frantic wave of construction and destruction which has taken over the capital city of Ethiopia. The fire hit the main building of the hotel where the restaurant was located as well as the reception rooms upstairs which were often used for art exhibitions and displays. 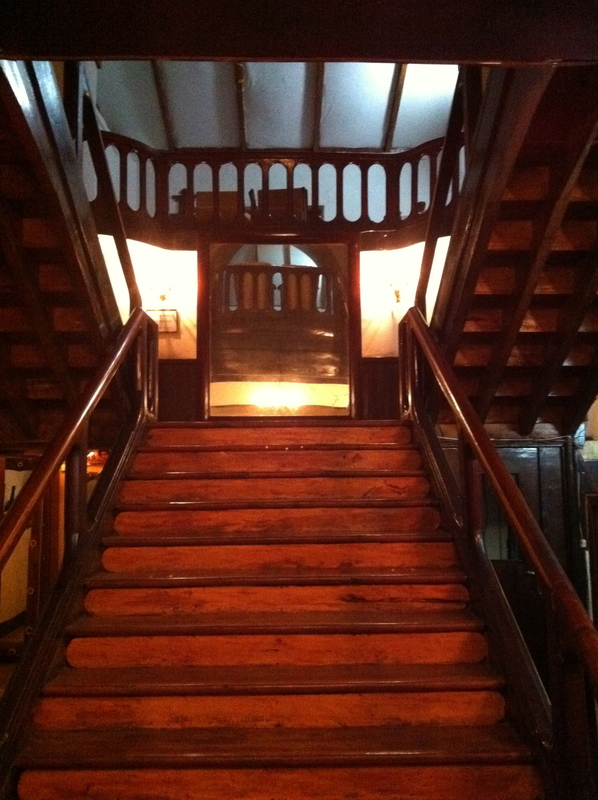 So the grand wooden staircase leading to it as well as the beautiful first and second floor rooms, both with original features, disappeared in the fire. 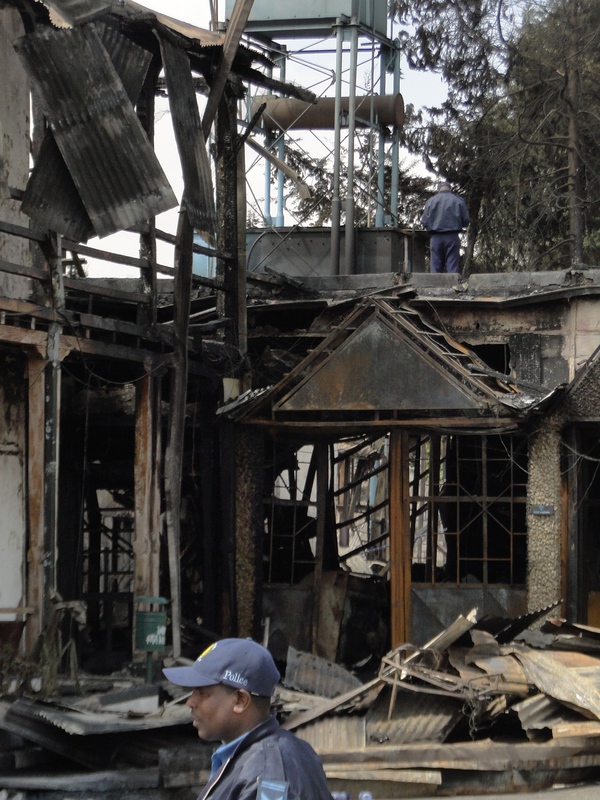 It also completely destroyed Jazzamba, the famous jazz club of the Taitu hotel, where all the great names of Ethio-jazz performed. Both the jazz club and the hotel had a unique atmosphere charged with the history of the city and the country. No one has information on the origin of the fire, all we know is that it started in the kitchen on Sunday morning and nobody was injured. The fire brigade came speedily to extinguish it, however, because of the large quantity of old wood, the fire started again with more force to destroy most of the building before it could be put out, or so I heard. The bedrooms located in another adjacent building were not affected. With Taitu hotel so badly damaged, Ethiopia is losing a strong heritage and maybe the only remaining one of its glorious past. “I am angry because it is our heritage and our responsibility to keep it,” said a young Ethiopian man who was there after the fire. Taitu was the first hotel ever to be built in Addis Ababa at the start of the 20th century just after the city (a small settlement then) had been chosen to be the new capital of a greater Ethiopia. It was Empress Taitu, the wife of the powerful emperor, Menelik II, who wanted a hotel for visitors to stay more comfortably. On her order, it was built in the very distinctive architectural style in fashion during Menelik times, using rare wood and circular balconies as part of the structure of the building. Menelik II, a very modern and forward looking emperor, was at the height of his power then, after having famously rebutted the Italians at the battle of Adwa in 1896 and hence preserved the independence of his country at a time of avid colonial conquests. Soon after, he turned his great plan of a modern Ethiopia into reality. 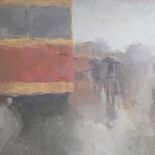 His new capital, Addis Ababa was developed and linked to the World through the port of Djibouti by a brand new railway. A campaign is already starting on social networks to #rebuildTaituasitwas, and many hope that it will be the case. However, because of the massive urban development programme currently ongoing, they fear the old Taitu may be simply replaced by yet another shopping mall. 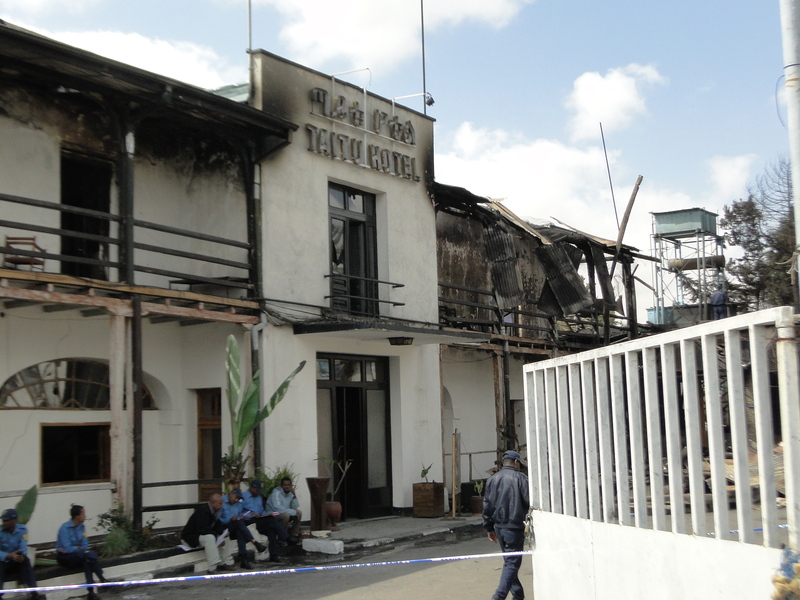 This entry was posted on January 13, 2015 by Salambo in Living in Addis and tagged Addis Ababa, addis ababa cultural institution, ethio-jazz music, Ethiopia, ethiopian heritage, jazzamba destroyed, jazzamba jazz club, taitu hotel, taitu hotel on fire.